Outdoor cinema is something I’ve wanted to experience for ages, yet hadn’t had the opportunity to up until this weekend. In fact, I hadn’t heard about it until earlier this year when a few friends of mine were complaining about a screening of Back to the Future being cancelled after shelling out an incredible amount of money on the tickets. I’m a bit of a romantic at heart and a fan of the outdoors, so the idea of having a picnic while you watch a movie is too good to pass up. I came across the Essex Outdoor Cinema completely by accident, walking to Upminster in search of a pair of trousers to replace the ones I had managed to unceremoniously destroy earlier that morning. Walking up a hill, complaining about the fact I was having to walk up it in the heat in the first place, I stopped in front a banner advertising Essex Outdoor Cinema. A bit more investigation revealed that it would be showing Captain Phillips on the grass outside a rather lovely looking windmill. David and I talked it over a bit, and decided that since he’s never seen the film, and it’s one that I really enjoyed, we should do it. After all, we’d regret it if we didn’t. Your typical cinema will charge you £10 for a ticket, con you into paying 300% more for your snacks and drinks than you would anywhere else, and before you know it has cost you £45 quid for two people. Either that, or you’re left sweating whilst you attempt to smuggle your own snacks past the spotty teenager who’s day will be made if he catches you with contraband. The seats are uncomfortable, usually covered in popcorn or someone’s spilled drink and have very little leg room. 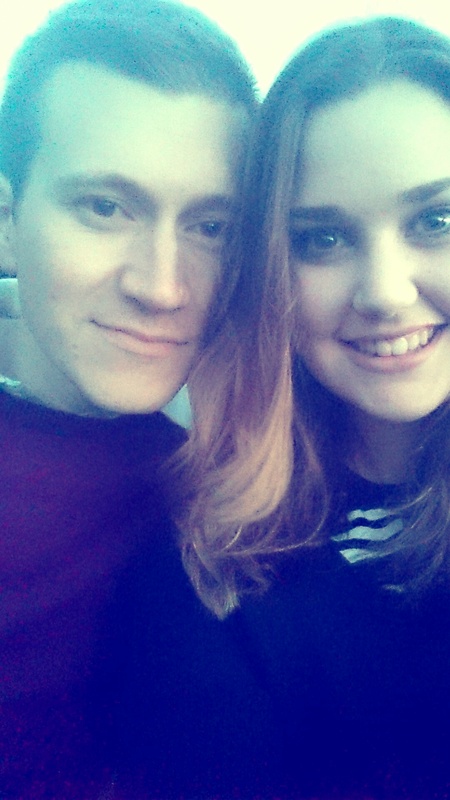 David is 6 foot 3, and I’m 5 foot 8 and a bit. If I’m complaining about cramp in my legs, you can guarantee he’s suffering about 64787 times more than I am. The Outdoor Cinema cost was £10 per ticket, which I think is amazing value. We paid online via PayPal, but there was also the option to pay in person. You could bring your own food and drink, including alcohol. You could choose to sit wherever you want, on your own chairs. You could lie down if you wanted and wrap yourself up.in as many blankets as you could possibly want. To me, that’s much more appealing than trying to squeeze myself into a chair and sit uncomfortably whilst trying to watch the latest film release. Besides, it’s romantic. You can enjoy spending time with the person you’ve gone to watch the film with and interact with them in ways you couldn’t in a normal cinema. Despite the many pros there are, however, a few cons. For example, the elements are beyond your control. You are entirely at their mercy. Whilst it didn’t rain on Saturday when we went it got quite chilly. Not unbearably so, but it was cool enough to make you wish you’d packed an extra jumper. The other issue was the number of mosquitos. The film we saw was shown quite late at night in order to coincide with the sunset, and as a result we were bitten to death by mosquitos. Next time I will be spraying myself with as much insect repellent as possible; I dont care how bad it makes me smell. The final negative point is that they didn’t supply seating. David and I were led to believe that the company would provide seating for the guests to sit on, as suggested by an image on their website. They also hadn’t stated that visitors would need to supply their own. Cons aside, the whole experience was completely magical, and it’s definitely one that I am keen to repeat again in the near future. Next time though, I’ll be much better prepared as the experience this time was a bit rushed and we didn’t really know what to expect. 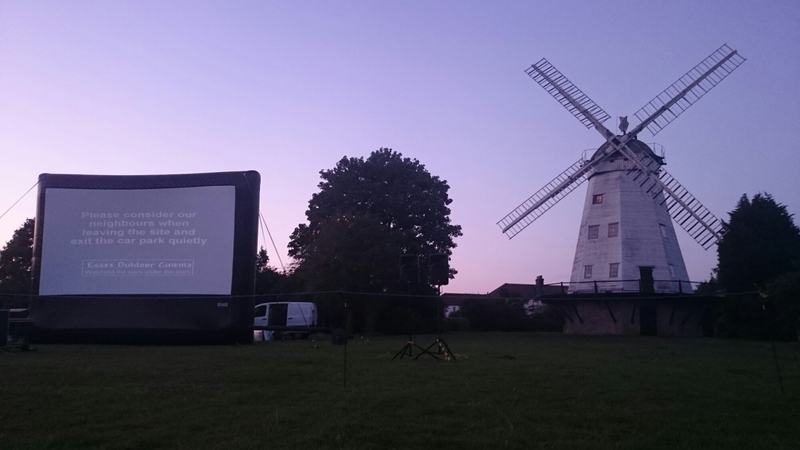 If you’re keen to find out about the Essex Outdoor Cinema and see what they have on and where, you can find their website here.